GAC has the capability to perform break-up analysis for launch vehicle stages and spacecraft, in order to meet FAA reentry safety and the NASA launch approval process when nuclear materials are carried. GAC can support launch vehicle manufacturers in verifying the safety of their systems and in meeting the FAA casualty estimate requirements for Earth reentry of launch stages after a launch or in the case of suborbital aborts. In support of JPL, GAC has developed and ran models to define blast, projectile and thermal environments in order to assess possible launch vehicle and upper stage explosions and the potential for the release of nuclear materials into the environment. 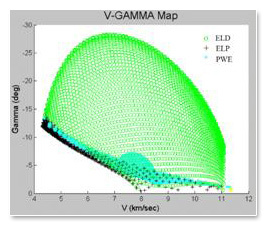 This break up analysis requires a detailed understanding of vehicle materials, their response to thermal environments, trajectory parameters and hypersonic aerothermodynamics. GAC has expertise in the development of aerodynamic databases for various hypersonic aeroassist vehicles, namely lifting toroidal ballutes, designed for dual-use, i.e. Mars orbit capture and Mars entry. 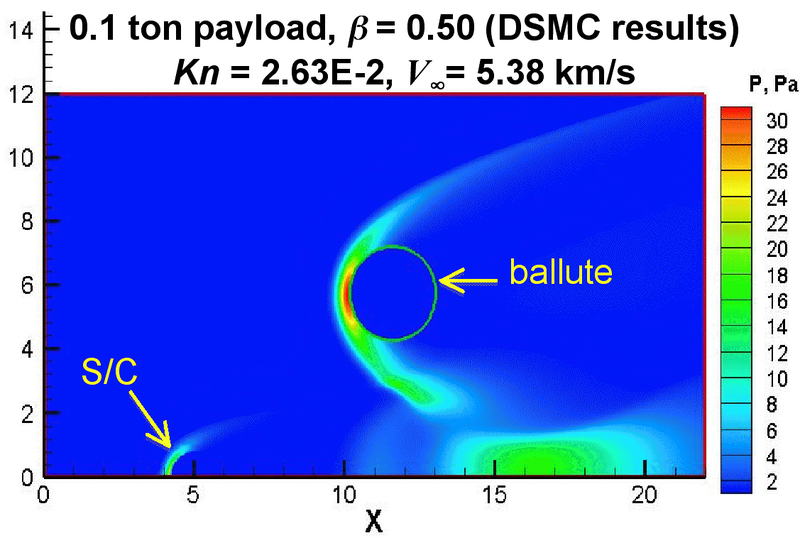 During aerocapture and entry a ballute system can fly through both continuum and rarefied flow, requiring detailed aerothermodynamic analysis in both regimes. 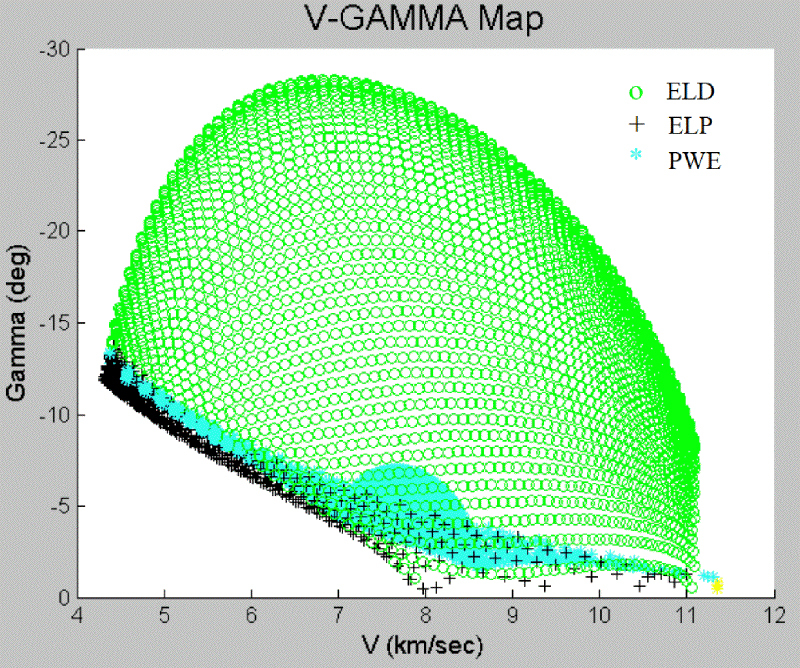 For continuum flow, we have used high-fidelity CFD analysis (e.g. NASA’s LAURA and DPLR codes). For rarefied flow, we have used Direct Simulation Monte Carlo, or DSMC, analysis (e.g. DAC, SMILE). Local or globalized bridging is then incorporated to complete the database for various ballute sizes and configurations. Reduced-Order Models (ROM) can also be incorporated for early trade studies, significantly reducing computation time. GAC also has the capability to design and size Thermal Protection Systems (TPS) for planetary aeroassist and entry missions. 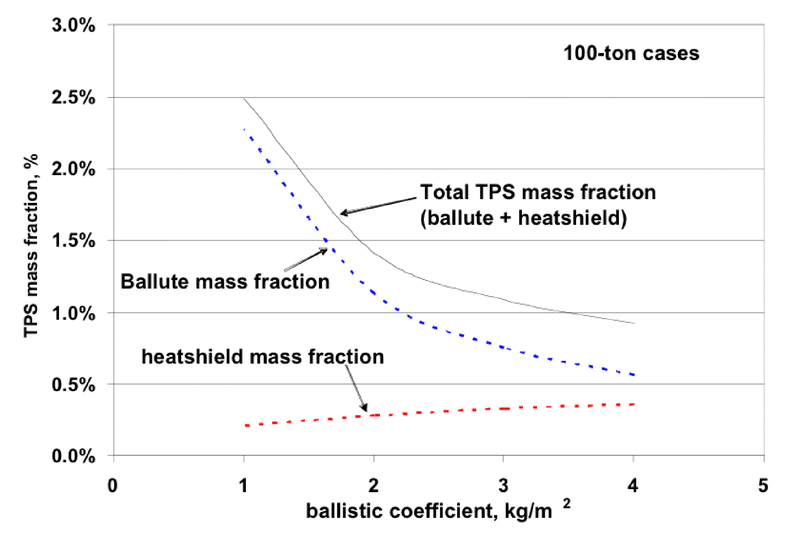 In a low- to high-mass Mars ballute entry and descent study a one-dimensional heat-conduction code was employed to calculate the thermal protection mass for a range of vehicles with high- to low-ballistic coefficients and for a range of payloads (from 1 ton to 100 tons). The TPS included the ballute, heat shielding, or a combination of the two. 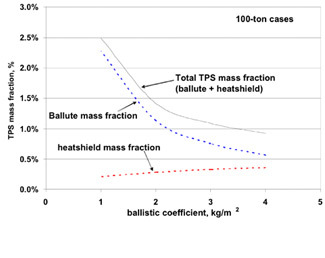 Results show that ballutes require substantially lower TPS mass than traditional aeroshells.